James attended ASU receiving his undergraduate degree from Arizona State University in Kinesiology. 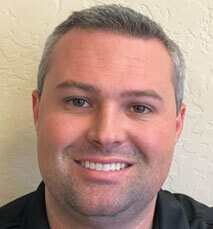 From there, James attended Idaho State University graduating with his Doctoral degree in Physical Therapy. For most of his career, James has been in an outpatient orthopedic setting treating an array of pathologies including shoulder, low back, neck, hip, ankle and many more. He also has some experience with home health and skilled nursing facility physical therapy as well. When James is not in the clinic he enjoys fishing, golfing and playing basketball. James has been married to his beautiful wife Makenzy and they have two sons.